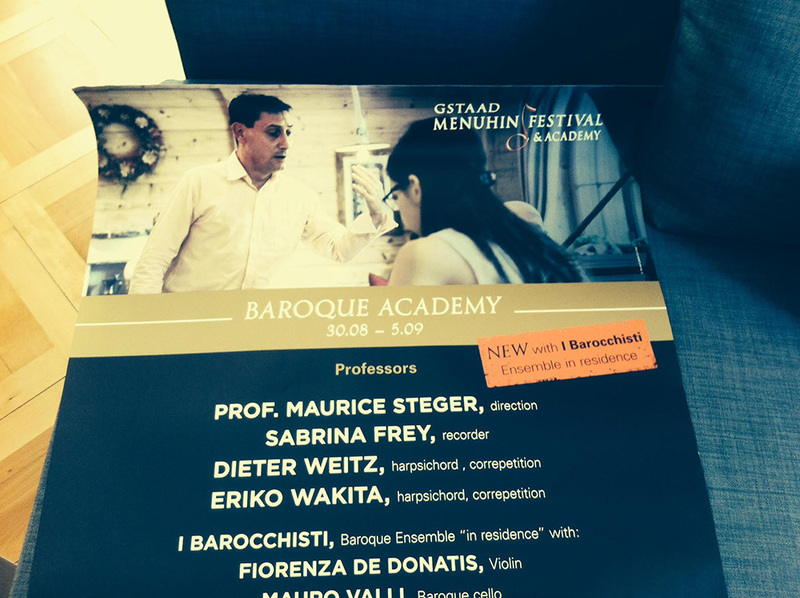 The Gstaad Baroque Academy congratulates! Here’s to a great start to the summer! We are delighted that this wonderful orchestra from Rome is once again touring with Maurice Steger. The group caused quite a stir back in 2015 when they performed at the Royal Concertgebouw concert hall in Amsterdam. Now the Cavalieris are back and playing in Trento (Italy) and at Munich’s Herkulessaal concert hall. 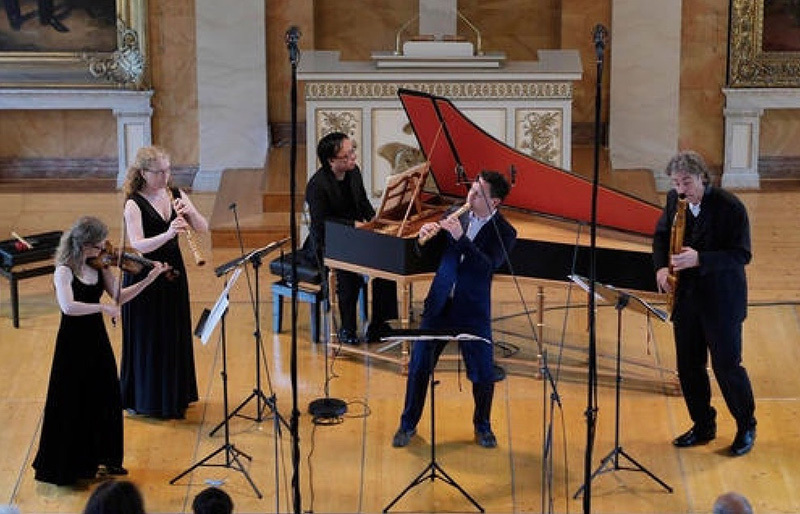 The EUROWINDS ensemble performed at the Wiener Konzerthaus (Vienna) as part of the RESONANZEN Festival of Early Music, which this year was held under the title “Eurovisions”. The three distinguished experts in the field grouped together to form the EUROWINDS ensemble especially for the Resonanzen festival: Dorothee Oberlinger (DE), Michael Oman (AT) and Maurice Steger (CH). The concert, addressing the theme “Eurovisions”, was held at the Wiener Konzerthaus on 29 January and was a great success. You can now listen to the concert on Ö1 for the next five days. The concert in Kazakhstan was a huge success. 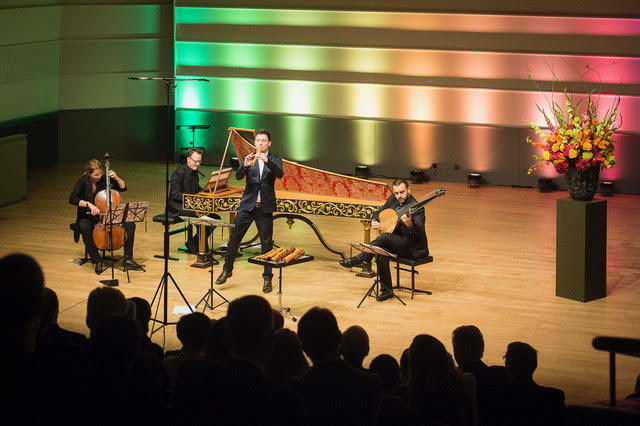 Together with Berlin’s instrumental ensemble Lautten Compagney, Maurice Steger played at the EXPO 2017 in Astana and delighted the world’s ninth largest country with the first concert of baroque music featuring period instruments. From there he travelled straight to London. Listeners in the wonderful and very atmospheric Wigmore Hall had the pleasure of hearing Jean Rondeau and Maurice Steger play. 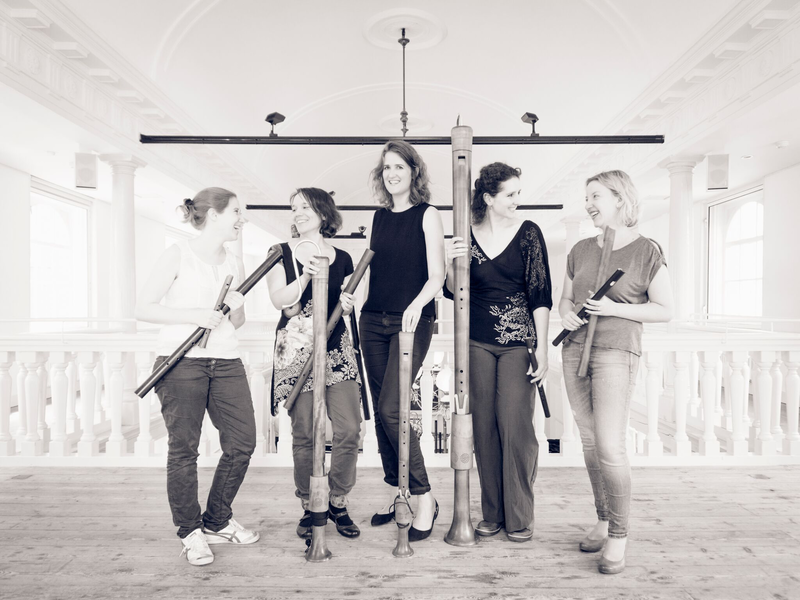 A three-day program of high-quality recorder and chamber music in a variety of combinations, assembled by the long-standing musical director, Wilhelm Becker, will be on offer. 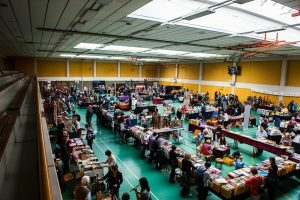 The impressive exhibition, one of the largest in the world and held in the adjoining large sports hall is a popular destination before and after the concerts. Great success for Souvenirs d’Italie! Maurice Steger will conduct the Malaysian Philharmonic Orchestra (MPO) as they perform the Brandenburg Concertos Nos. 2 and 4 by Johann Sebastian Bach in the Twin Towers in the heart of Kuala Lumpur. These concerts will open with Handel’s Almira ‘Suite de dance’; the maestro will himself perform the Sammartini Concerto ‘per flautino’ and conduct the ‘Jodelet’ overture by Reinhard Kaiser. Some time ago, Maurice Steger had the idea of entrusting the recorder part for the fourth Brandenburg Concerto to a young performer. He advertised the role on Facebook; the orchestra will also pay for the young recorder-player’s flight to Malaysia and the local soloist fees. 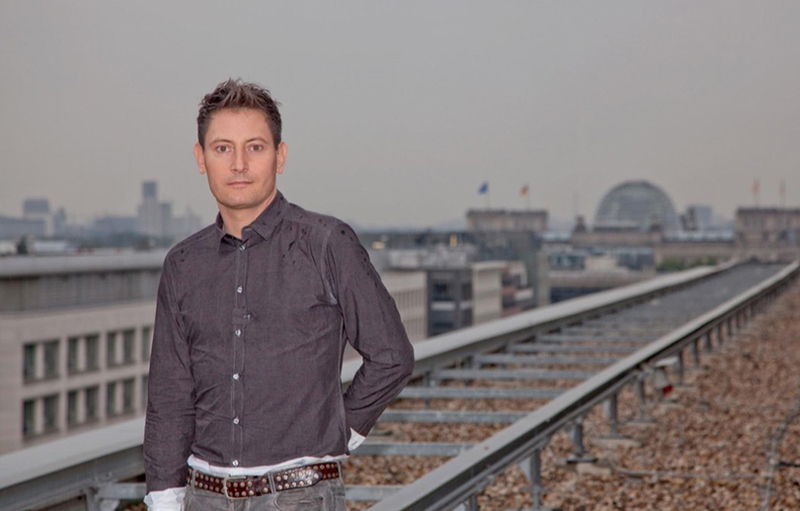 Many people contacted Maurice, who then created a long-list of 40 young musicians and sent their applications to be reviewed by his two agents in Germany and Asia. The agents in turn agreed on a dozen finalists, who were then presented to the orchestra’s executive committee. This committee, comprising the management, the orchestra’s chairman and the musicians, then made the final selection. We now wish to announce the three winners of this competition! 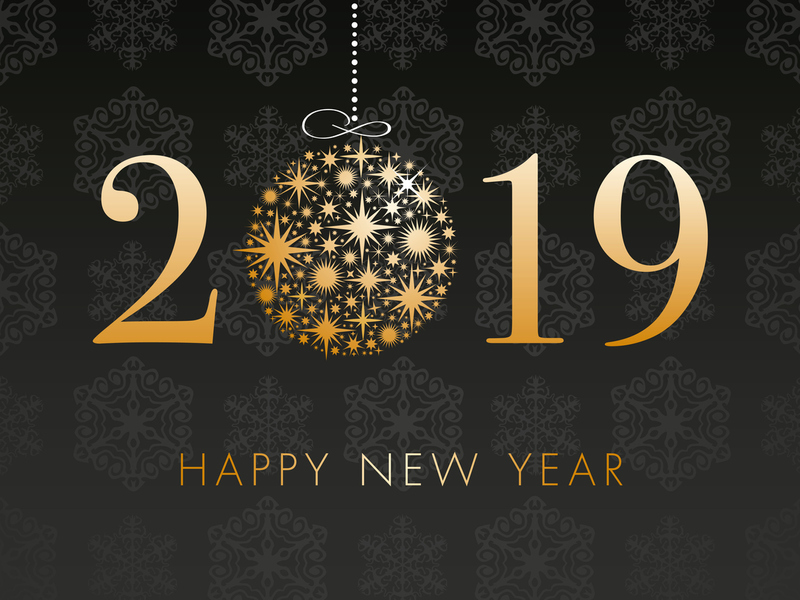 A great start into the new year! A great start into the new year: Maurice Steger cordially invites you to concerts with his fulminant friends, Concerto a Cinque. The first concert in the Viennese Musikverein is followed by two Swiss concerts in Bellmund near Biel and Wohlen (AG). 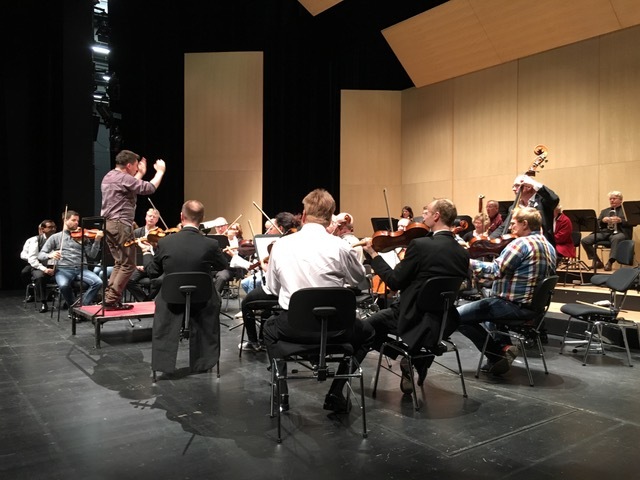 Shortly after, Maestro Maurice flies to Canada to perform in Quebéc City and Montréal with the phenomenal chamber orchestra Les Violons du Roy in classical works by Haydn (Symphony, Le Soir ‘), Mozart (‘ A Little Night Music ‘) and the symphony in Rosetti’s gospel conduct. The friendship between Steger and the violins has existed for many years and, for the first time, the dream team is dedicated to classical symphonies. Classical symphonies continue in February: For the first time Maurice Steger conducts a Beethoven symphony and continues his successful Mozart cycle with the State Orchestra Braunschweig. Although slightly different this time: look forward to Beethoven 2! 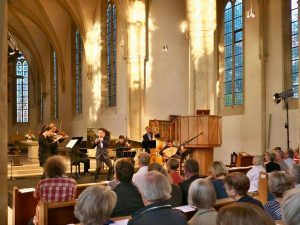 concerts in Braunschweig and Celle. In March Maurice Steger flies to Kuala Lumpur to conduct the wonderful Malaysia Philharmonic Orchestra in the concert hall in the famous Twin Towers. The program includes Brandenburg Concertos by Bach and many other special features. Welcome to Malaysia! And there are always programs around the souvenirs of the Count of Harrach. We are delighted that Maurice Steger’s new project is a big success and enjoys great popularity. We will tell you more about this soon. We are pleased to present to you the new musical project “Souvenirs d’Italie“, which has just been released on CD and will also be presented in live concerts, with three cinematic contributions. 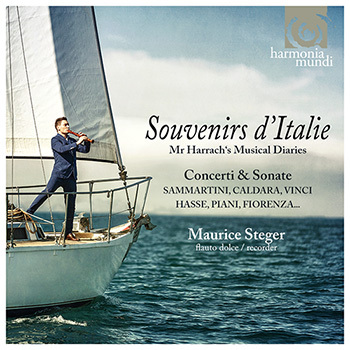 After almost three years of detective work, Maurice Steger presents some of the treasures he has discovered in the form of a new CD: Souvenirs d’Italie – Mr Harrach’s Musical Diaries. The Austrian Count von Harrach was a diplomat, statesman, the viceroy of Naples, and an enthusiastic collector of art. Yet he also loved music so much that he commissioned works from his friends and from renowned composers. We can assume that Harrach probably also played the recorder himself, as the recently-found manuscripts collected by and associated with Harrach contain a conspicuously great number of compositions for flauto dolce, ranging from sonatas and pieces of chamber music to concerti da camera and solo concerts – a new treasure trove! Maurice Steger has been to investigate, and here presents a collection of works which Count Harrach collected during his travels in Italy and brought home with him as souvenirs – previously unheard music at first hand! In the coming days, the new CD featuring works by Vinci, Leo, Caldara, Fiorenza, Sammartini, Colista, Sarro, Montanari and Piani will be available in all specialist music stores. You can find out more in our boutique or on the dedicated product website. Maurice Steger is taking part in an exciting project in the State of Brandenburg, performing music by Telemann together with the inspiring Lautten Compagney Berlin in Bernau on 16.09.2016. These artists will play together again at concerts in Ravensburg (Weingarten, 8.10.) and Viersen (9.10.). What joy! Maurice Steger will also perform his new programme, Souvenirs d’Italie, in Ankara. On 15 October, he will conduct the Bilkent Symphony Orchestra, and will be joined in Turkey by Jadran Duncumb, one of the most inspiring lute players of the young generation. This will be followed by two concerts which continue Steger’s cycle of Mozart symphonies performed with the Braunschweig State Orchestra. This time audiences can enjoy the Linz Symphony, with a performance of Vivaldi concertos in the first part, together with an unknown symphony by Wagenseil. 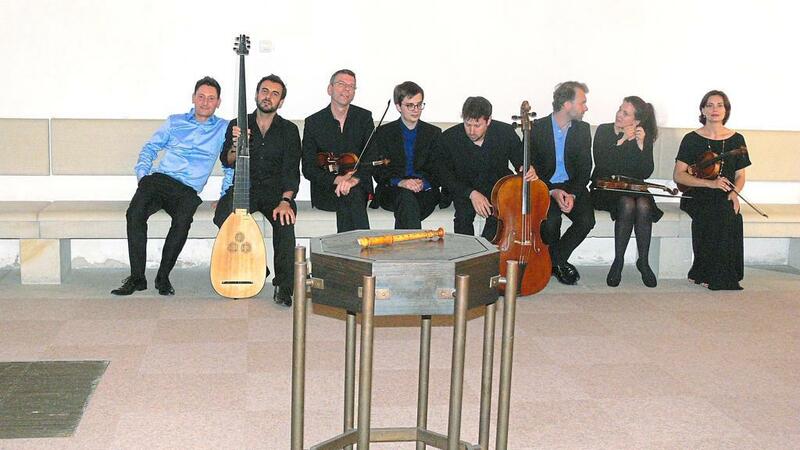 on 31 July he will give a family concert with Baroque music. This time, the concert is not only intended for families, but also played by families: the Perl clan will perform with Grandma Hille and Grandpa Lee; the Seitz twins will pay the dulcimer and harp; and the de Donatis family will play the violins. And what’s more: family compositions will be played, including ones by the Bachs, the Sammartinis and the Forquerays. 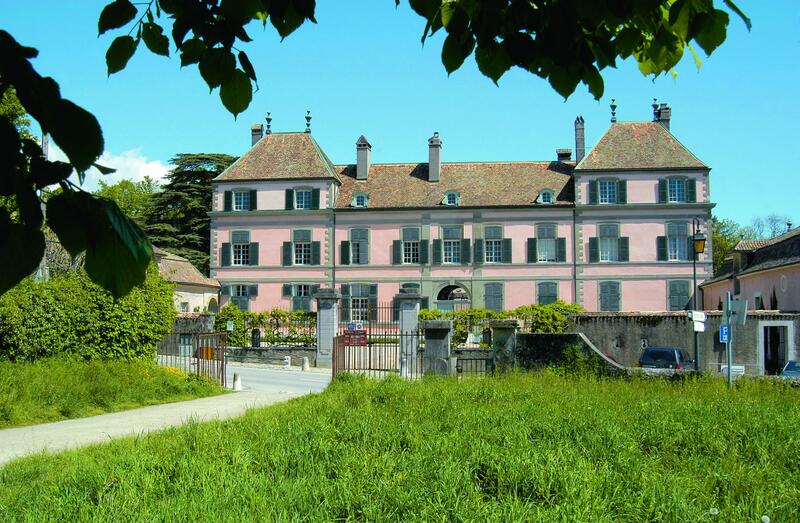 And the Gstaad Baroque Academy will begin at the end of August – we look forward to the talented young musicians from many different countries, who will then give their farewell concert on 3 September. But Gstaad is not the only venue. Maurice Steger will perform in France (16 / 17 July); he will present a new programme in two romantic Swiss churches (Zillis, GR on 24.8. and Kaiserstuhl, AG on 25.8.) together with the ZKO (Zurich Chamber Orchestra); there will be music from four different centuries on 10 September in Stams, Austria; and Steger will once again perform a Telemann programme at the Early Music Festival in Bernau near Berlin (16 September) together with the Lautten Compagney. Here’s to many pleasant musical encounters! In memory of Ernst Meyer, Ernst dit le Bec, probably the most innovative recorder maker of the early 21st century, my esteemed friend and kindred spirit. A few days ago we received the terrible news of the death of Ernst Meyer. We are all deeply saddened, shocked and feel an emptiness within. My thoughts are with all those who also loved and treasured Ernst, and especially with his sons Sebastian, Joel and their partners. The family had recently established a new home by Hemberg in Swiss Toggenburg, where they shared life, work and togetherness. When I was a boy of sixteen, I undertook a pilgrimage to rural Appenzell to visit Ernst Meyer. I knew of him, I was told of a recorder-maker with much passion for handcrafted historical instruments. So we met – his boys hadn’t been born yet – and Ernst was there in his strong and impressive and so passionate way. Soon I was to take home my first Meyer recorders, on which I experimented and learnt to express myself with. I shared my thoughts and insights with Ernst and this was the foundation of a long-standing friendship between the master craftsman and the musician. We were always able to communicate what we expected of one another, where the limits are and how to achieve the best results. We developed ideas and instruments, then either scrapped or perfected them. And so it went on: in all those many years, Ernst’s instruments became world class and have been played by my mentors, then by me, then by my students, on all the stages of the world. Ernst Meyer was a passionate researcher who always had one big goal: to build recorders with a rounded, full-bodied sound in all registers. He examined the old originals while simultaneously thinking of all sorts of possible improvements and, above all, about which parameters to change in order to transfer the acoustic possibilities of the old flutes to today’s concert halls and adapt them to modern conditions. It wasn’t his objective to create new-sounding recorders, rather it was his desire to intensify their rich historical tones, to complement their aesthetics. He thus managed to build the only instruments which sounded full-bodied in all registers, full-bodied in all registers, and which, even when played in large venues, could still sound like beautiful recorders and entirely new, 21st-century instruments. Throughout the years, Ernst’s endeavours earned him many dear friends and customers, or rather kindred spirits (and some critics too) – but above all, musicians. It is a tremendous joy to now hear his masterpieces being played either on CD or live at many concerts. Never before has the recorder sounded so rich, so complex, so challenging and grown-up. And I thank you for this, dear Ernst! You leave a huge gap in our lives and will be missed greatly. Without you, things will be very different. I will remember you dearly. Your instruments will inspire future generations. Thank you for everything you have given us. Maurice Steger is on his way to London, where he will perform a vibrant programme at the Wigmore Hall this weekend, together with the Scottish ensemble Marsyas and the virtuoso bassoon player Peter Whelan. Look forward to Vivaldi @ Wigmore! Immediately thereafter, the recorder player is travelling to the American state of Colorado. 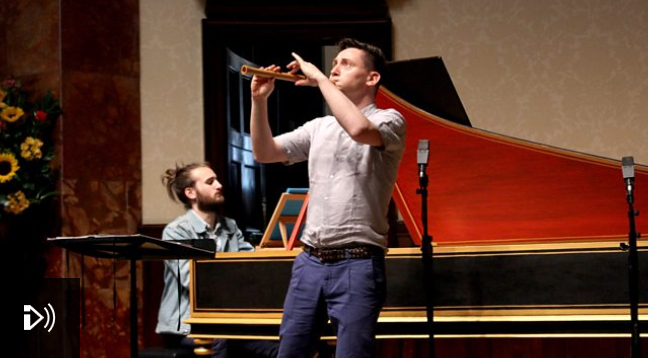 We look forward to a recital of Baroque recorder sounds, accompanied by a duet of harpsichord and organ, a soundscape which is to be heard but rarely. Welcome to Fort Collins! composers other than Mr Mozart! Maurice Steger initiated a course with Baroque and Pre-Baroque ensemble music in beautiful Fulda (Germany) . So many smiling faces and joyful moments there were to celebrate this weekend. What many participants deem to be the “most beautiful week of the year” is soon approaching, and we hereby cordially invite you to be a part of it: from 28 August to 3 September, Maurice Steger will once again direct the Gstaad Baroque Academy, a prestigious masterclass for young musicians and soloists in the field of early music, for recorder players with a promising future, and for an interested public. 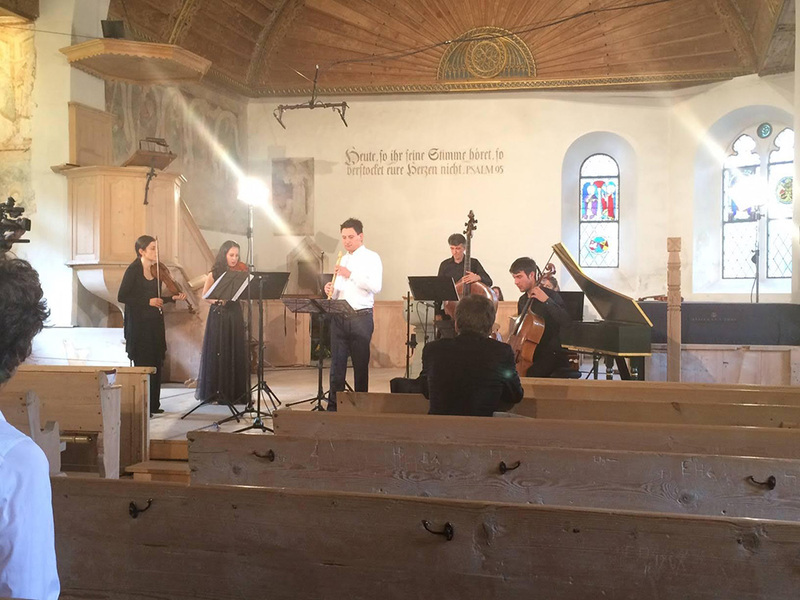 For anyone still unfamiliar with the Gstaad Baroque Academy, you can gain an impression of the masterclass with this short film made by participants and Pascal Schärli:https://www.youtube.com/watch?v=T7OI9zVI4WQ. youtube.com/watch?v=T7OI9zVI4WQ. Maurice Steger will not only serve as professor, but also invite several of his musical colleagues to Gstaad to mentor the young musicians. The two guest professors Giovanni Antonini (recorder-player and conductor) and Kristian Bezuidenhout (historical pianist and harpsichordist) will hold a public course on 3 September in Schönried.We hope you are as excited as we are about these two stars of the early music scene! During the week of teaching, Daniele Caminiti will direct a course on Italian Baroque sonatas, while Jermaine Sprosse will teach about the German repertoire. The Dutch recorder player Erik Bosgraaf will teach all of the young people in lectures (some of which will be open to the public); Sabrina Frey will direct group lessons and teach in the form of discussions and coaching; the harpsichordists Dieter Weitz and Eriko Wakita will assist Maurice Steger with the many teaching units; and everyone is excited about the workshops, the individual lessons, and of course the farewell concert in the church of Rougemont at 5 pm on 3 September. And the audience, the valued guests, are also allowed to listen in, give their opinion and provide feedback to the young musicians: each day between 11 am and 1.20 pm, and between 2.15 pm and 4.30 pm, from Sunday 28 August until Friday 2 September, Professor Steger will hold the public classes in the Salon Festival of the Hotels Ermitage in Schönried ob Gstaad. We are also offering public workshops. We will publish the details at a later date. All events will take place at the Ermitage in Schönried. 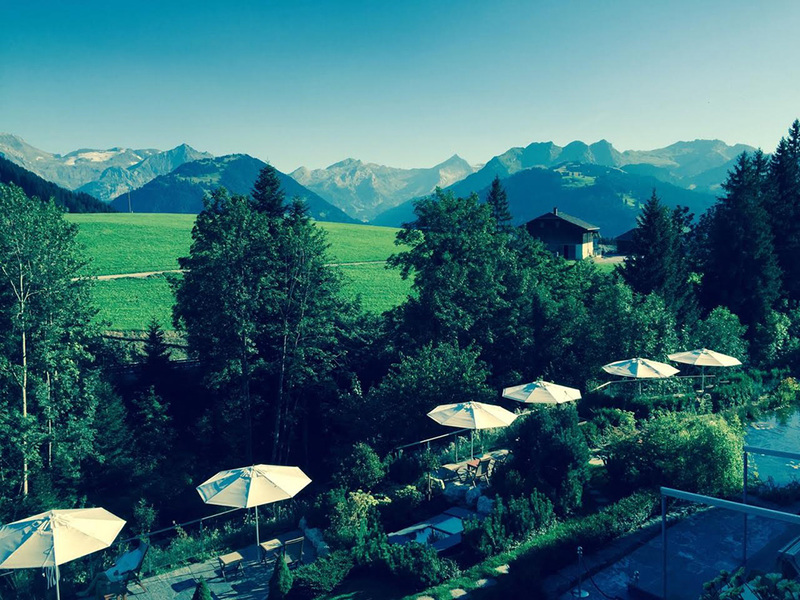 The registration deadline for the activities is 31 May – after this date the Gstaad group for 2016 will be put together. Please do not miss the deadline! The farewell concert will take place in the church of Rougemont – we all look forward to this happy event: at 5.30 pm on 3.9.16 with all participants – you are most welcome to attend! See you soon in Schönried! Happy Easter and welcome to the mountains! Maurice Steger has returned from an extensive tour of Australia in excellent spirits (we will report on this later), and is now heading straight off to the mountains. His first stop will be Flims on Easter Sunday, close to where the artist grew up. On Easter Monday, he will play for you on the Rigi. And we are pleased on behalf of all enthusiastic recorder players that Maurice Steger will once again direct the summer course in Arosa in 2016. Around 25 participants will come together in this beautiful mountain village for an intensive masterclass in the recorder and old music ensembles. The focus is on solo tuition, but also on ensemble playing, technique training and exam preparation. It will also involve the practising of sonatas, concertos, early Baroque canzons, concert and ensemble pieces (soloists and existing ensembles can register), and solo pieces. This year, Maurice Steger will be assisted by Ralf Waldner on the harpsichord and Laura Schmid on the recorder. Gramophone: Steger’s Vivaldi amongst the Top Ten! 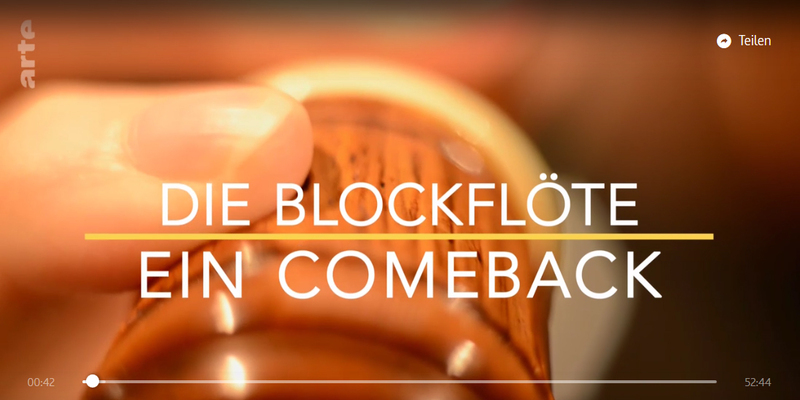 The Gstaad Academy and Maurice Steger congratulate the students of the Gstaad Baroque Academy on their outstanding achievements at what is probably the most internationally prestigious recorder concert, the MOECK Solo Recorder Playing Competition (London, November 2015). All the prizes went to students of the GBA / Professor Steger’s class: 1st prize: Laura Schmid, 2nd prize: Lea Sobbe and 3rd prize: Sophia Schambeck – congratulations!!! Laura Schmid, winner of the first prize, is also Steger’s assistant at the summer course for the recorder and early music in Arosa. She will be accompanying him on a concert tour in December, together with the Cappella Gabetta (Lucerne, Basel, Munich, Kufstein; see concert schedule) and Mr Bach’s 4th Brandenburg Concerto. Maurice Steger had the honour of musically inaugurating the new concert hall in the Federal Academy of Musical Youth Education in Trossingen, Germany. The event on 19 November was thus correspondingly big. 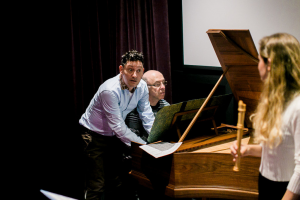 Alongside pieces from the Baroque repertoire, Steger performed the première of a piece by Florian Sitzmann, a kind of music somewhere between classical, pop, and jazz with jam sessions and all manner of new sounds, skilfully amplified, mystically de-contextualised and sampled by DJ Kevin Hickey. Revolumzone received huge applause! Bravi tutti. The exceptional recorder player Maurice Steger is to receive the “Instrumentalist of the Year” award from ECHO KLASSIK 2015. 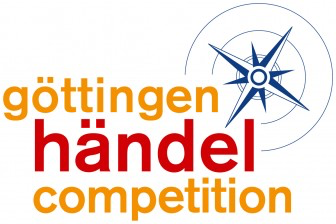 The award will be presented on Sunday 18 October at the Konzerthaus Berlin. The artist will perform at the gala event, which will be broadcast with a time delay from 10 p.m. CET on the German TV station ZDF. 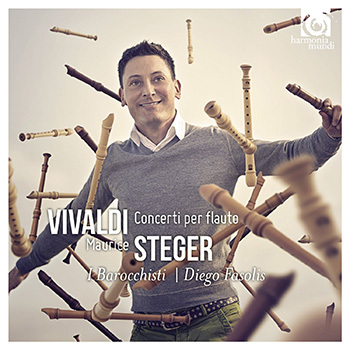 Steger is receiving the music award for his album “Vivaldi: Concerti per flauto”, which he recorded together with I Barocchisti conducted by Diego Fasolis and which was published by Harmonia Mundi last year. “As a musician and recorder player for an independent label, I find it a great honour to receive the “Instrumentalist of the Year” award from ECHO KLASSIK”, states a happy Maurice Steger, who – thanks to his simply unbelievable virtuosity and musical instinct – is one of the world’s best recorder players: he is commonly described as “the Paganini of the recorder” and as “masterly”. Thanks to his vibrant, intense tonality, virtuosity and astonishing technique, he manages to position the many forms of the recorder in wholly new ways. He does so with fascinating programmes as well as by intensely engaging in helping the next generation of musicians: the artist, who often also serves as a conductor, gives regular master classes and hundreds of playful children’s concerts, a real sign of his commitment to musical education. The verdict on his award-winning CD “Vivaldi: Concerti per flauto” is as follows: “No matter what role the recorder takes, Steger’s fascination with Vivaldi can be heard equally in all pieces” (RBB Kultur), and every work spirits the listener away into a sensual world of sound. Whether as a recorder player or conductor, Maurice Steger’s performances around the world are a special experience for all involved. He performs regularly with original sound ensembles such as the Akademie für Alte Musik Berlin (Berlin Academy for Early Music), the Venice Baroque Orchestra, I Barocchisti and the English Concert. Steger can also be found performing with modern orchestras such as the Zurich Chamber Orchestra, the hr-Sinfonieorchester Frankfurt, the Musikkollegium Winterthur and the NDR Radiophilharmonie. His musical partners include Cecilia Bartoli, Andreas Scholl, Diego Fasolis, Sol Gabetta, Hille Perl, Lee Santana and many others. Many of Steger’s recordings, including the album “Una Follia di Napoli”, have won international awards. 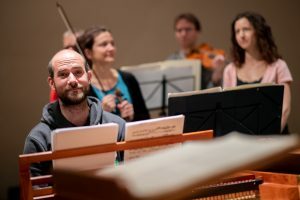 The “most beautiful week of the year” is approaching and we hereby cordially invite you to be a part of it: from 30 August until 5 September, Maurice Steger will once again head up the Gstaad Baroque Academy , a top-class event by and for young musicians and soloists in the field of early music and for recorder players with a promising future. Steger will not only serve as professor, but also invite several of his musical colleagues to Gstaad to mentor the young musicians. Thus 15 teachers will guide the 35 active participants through the week: these will include Mauro Valli (Baroque cello), Fiorenza de Donatis and Plamena Nikitassova (Baroque violin). 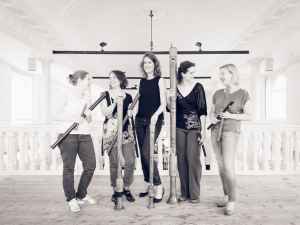 The Baroque orchestra from Italian-speaking Switzerland, the ‘Barocchisti‘, will serve as the orchestra in residence and accompany the young musicians during Italian recorder concerts. 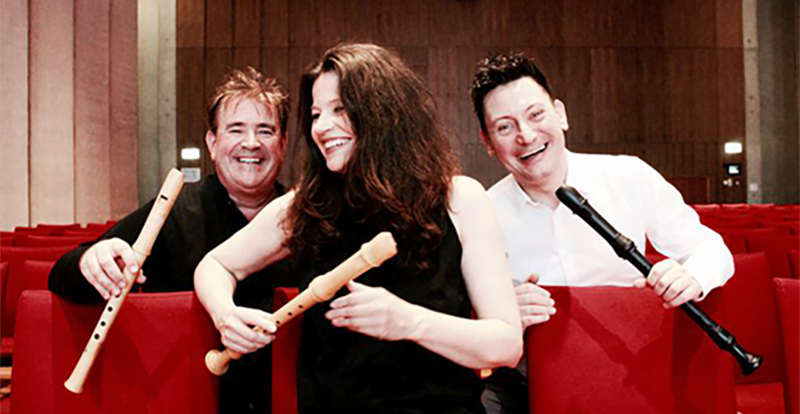 Sabrina Frey will once again serve as our indispensable recorder fairy godmother. 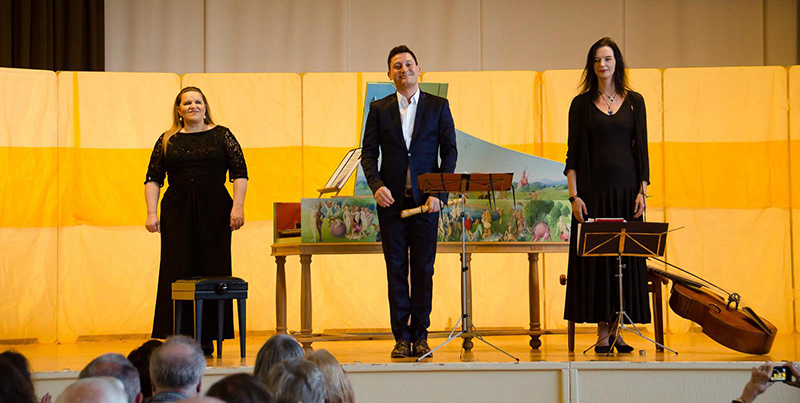 The harpsichordists Dieter Weitz, Eriko Wakita and Jermaine Sprosse will assist Steger during the many teaching sessions, and are looking forward to the workshops, individual classes and farewell concert in the Kirchgemeindehaus Gstaad at 5.45 p.m. on 5 September. And the audience, the valued guests, are also allowed to listen in, give their opinion and provide feedback to the young musicians: each day between 11 a.m. and 1.20 p.m. and 2.15 p.m. and 4.30 pm from Sunday 30 August until Friday 4 September, Professor Steger will hold the public classes in the Salon Festival of the Ermitage in Schönried ob Gstaad. We are also offering public workshops: the cellist Mauro Valli will be teaching Italian sonatas on Thursday 3 September from 2 p.m. until 5 p.m.. In the neighbouring hall, the Barocchisti will work with six of the young musicians to perform works by Vivaldi, Blavet and Mancini. On the following day, 4 September, Ms Plamena Nikitassova will teach ornamentalised instrumental music from the early 18th century. The young musicians will also have the opportunity to be enchanted by the music of the 17th century as performed by conductor, double bassist and chamber music expert Vanni Moretto. This will all take place at the Ermitage in Schönried. 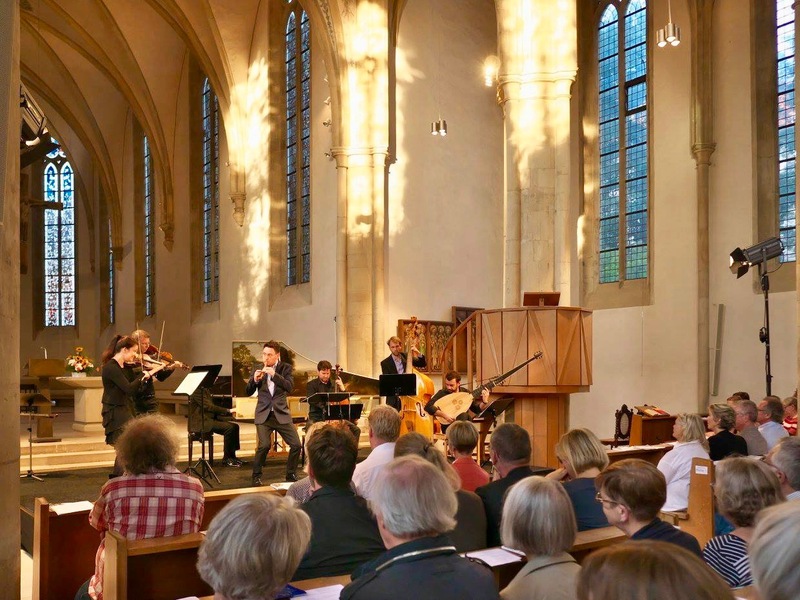 The farewell concert will take place in the Kirchgemeindehaus (Untergstaadstrasse) in the heart of the village of Gstaad – we all look forward to this happy event: please join us at 5.45 p.m. on 5 September (http://www.gstaadmenuhinfestival.ch/site/de/gstaad-baroque-academy-abschlusskonzert.html)! See you soon in Gstaad! The latest concerts were held in overcrowded and overheated concert halls. 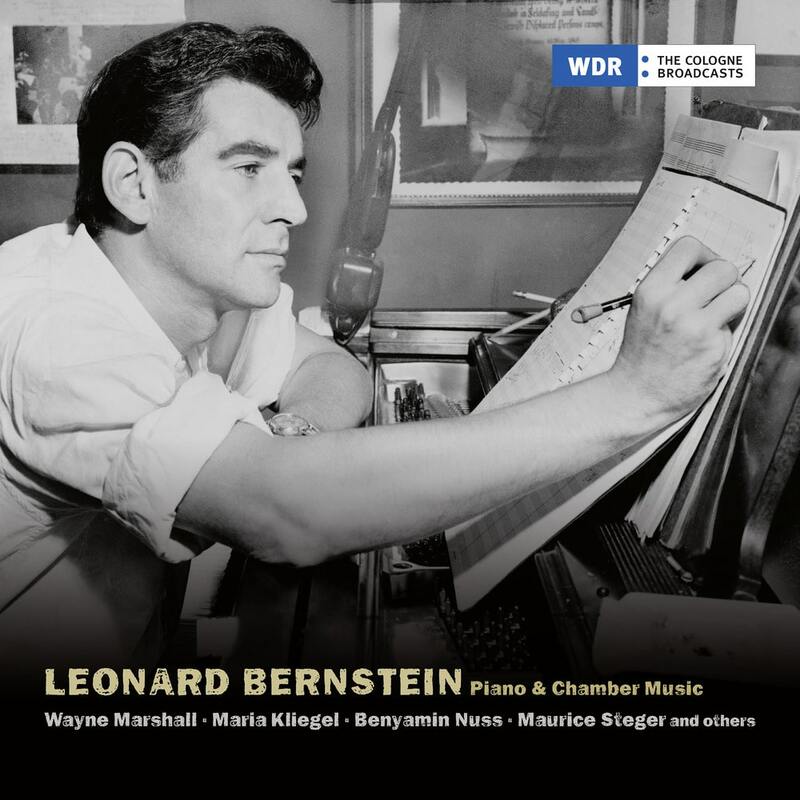 They were all successful, and Maurice Steger performed both passionately and emotionally. We present some highlights: concertos for wind instruments were held together with the Academia Gioccosa in Munich’s Residenz palace; Maurice Steger once again conducted the NDR Radiophilharmonie during an exciting concert with numerous highlights; the soloist was on tour in the Swiss mountains together with the Italian Baroque orchestra Il Pomo d’Oro and there celebrated Concerti della Nature. In the interim he has provided recitals, chamber music, two recorder courses and plenty of good music. Now is the right time to grant the musician a few days’ holiday – he will soon be back and bursting with energy. 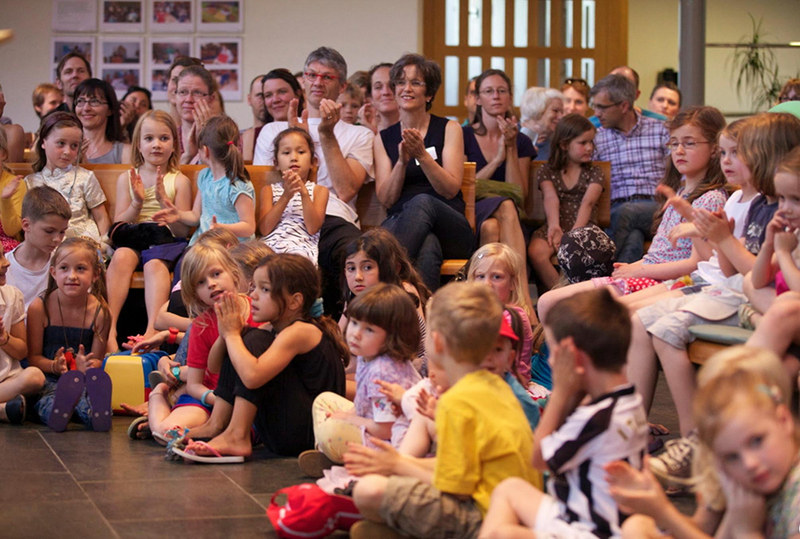 What a treat it was for everyone who attended the Tino Flautino children’s concert in the beautiful St. Gallen Tonhalle on Mothers Day. Jolanda Steiner told the story of the recorder-playing prince in an exciting and child-friendly way, and Maurice Steger not only played Prince Tino but also conducted the St. Gallen Symphony orchestra in an atmospheric, precise and vibrantly expressive way: the sounds of spiritual old music from St. Gallen! Alfredo Bernardini and the famous Ensemble Zefiro will play Vivaldi concertos together with Maurice Steger – on 23 June, the beautiful Lawrence Church in St. Gallen will be filled with the sound of early Baroque music thanks to a specialist ensemble conducted by Maurice Steger: recorders, violins and plucked string instruments will feature, and all manner of extravagant works be celebrated. The Accademia Giocosa, the Bayerischer Rundfunk broadcasting company’s Baroque orchestra, is celebrating a reunion with Maurice Steger on 8 July at the Hofkirche Church of the Residenz palace in Munich. 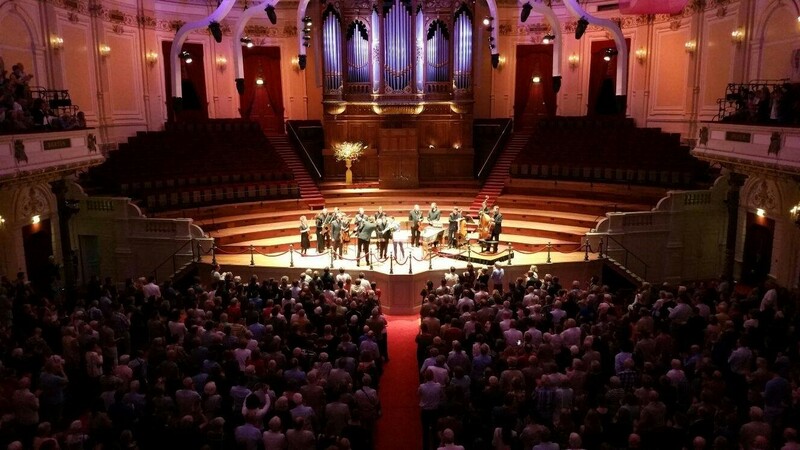 On 16 July, Maurice Steger will once again perform at the amazing Concertgebouw Amsterdam –this time with the Italian Baroque orchestra Concerto de’ Cavaliere, performing concertos by Johann Sebastian Bach and Antonio Vivaldi.. Fantastic News: Maurice Steger is the new International Guest Professor for recorder at Hochschule für Musik Nürnberg! We have been developing a new program for professional recorder students: Recorder Connect. Further information is to be found in the announcement below – Application possible until April 15th! We are pleased to inform you that the master class in the recorder and old music in Arosa will be taking place again this year. There will be intensive music-making from 18 to 23 July. Welcome to Arosa! We will come together in the beautiful mountain village of Arosa for an intensive master class in the recorder and old music ensembles. The focus is on solo tuition, but also on ensemble playing, technique training and exam preparation. For school students (from approx. age 12 onwards), young people, students, music lovers, teachers, retired soloists, listeners and amateur enthusiasts. Maurice Steger’s year has got off to a busy start: in three wonderful concerts at the Theater Erfurt, the musician conducted the Philharmonic Orchestra in the overture suite ‘Les Elements’ by Jean-Féry Rebel. All four elements were presented in this surprise-filled programme: in Monza’s sinfonia ‘La Tempesta di Mare’, and in the programmatic concerti by the prete rosso. The conductor Maurice Steger oversees interesting projects and conducts great works of music: why not visit one of his concerts with the Staatsorchester Braunschweig in February 2015: Steger will be conducting Mozart’s wonderful ‘Prague Symphony’, an unknown symphony by Wagenseil, and the overture of the opera ‘Le Nozze di Figaro’. In March, Maurice Steger will conduct the Hessischer Rundfunk Sinfonieorchester. 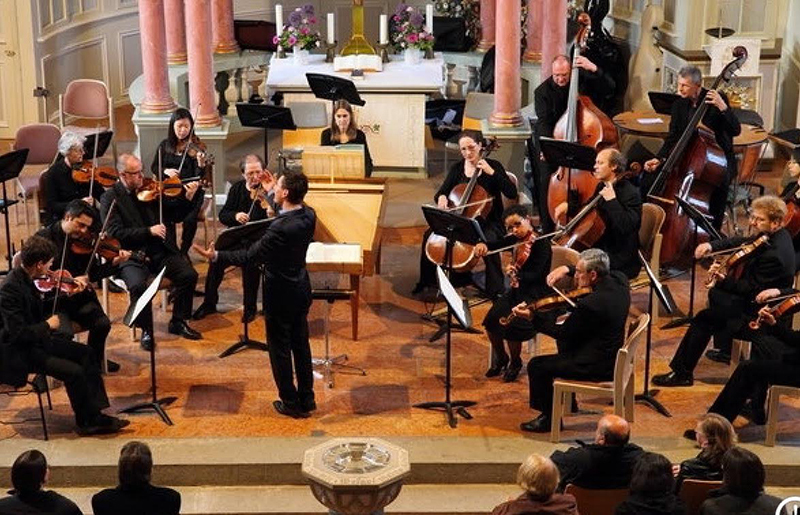 Both concerts, which will feature German and English Baroque music, will take place in the Hessischer Rundfunk studio in Frankfurt am Main. Featuring on the programme: Telemann’s overture ‘La Bourse’, Heinichen’s famous concerto in G Major, and Geminiani’s energetic ‘La Follia’ variations. In April, Steger will be standing at the lectern in Turkey: taking place in Ankara and featuring the Bilkent Symphony Orchestra as well as some amazing singers, the concerts will focus on Pergolesi’s ‘Stabat Mater’. During the first part of the programme, Steger will conduct operas by Handel for soprano, for alto – and for both as a duet. 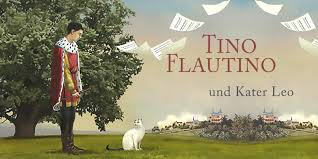 Steger’s conducting engagements continue in May: during two performances at the Tonhalle St. Gallen, the musician will conduct the Symphony Orchestra in the musical fairytale ‘Tino Flautino’, which spirits us away into the fantastical world of the young, recorder-playing Prince Tino. Music by Vivaldi and Mozart. The end of June marks the beginning of another rehearsal phase with the NDR Radiophilharmonie. There is a long-standing friendship between Steger and this orchestra, and in 2015 the musicians will be presenting Veracini’s famous overture in G minor, and Geminiani’s concerto grosso on ‘La Follia’. Steger will also conduct Vivaldi’s double concerto with two trumpets. In between, the musician will also be playing the recorder: the audience can look forward to Vivaldi’s best solo concertos such as ‘Il Gardellino’, ‘La Notte’ and the unknown RV 375. The british Grammophone Award and the Diapason d’Or count as two of the most important independent record awards for classical music. We are particularly pleased that the price Gramophone Editor’s Choice has been awarded to Messrs Steger and Vivaldi this December. 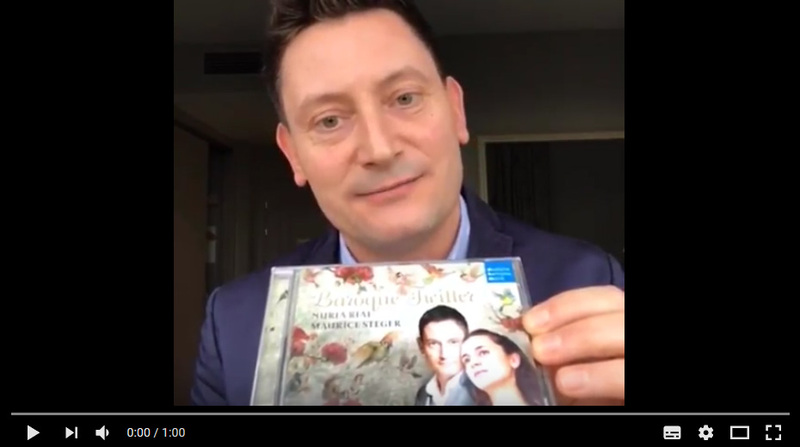 Maurice Steger has been awarded two prizes within the country which houses his production company, harmonia mundi: CHOIX DE FRANCE MUSIQUE and LE DISQUE CLASSIQUE DU MOIS DE NOVEMBRE sur FIP – Congratulations! A special delight: signs of enthusiasm from Vivaldi’s country of origin, Italy: premiato con 5 stelle della rivista MUSICA, grazie mille! The harmonia mundi CD has been nominated for the International Classical Music Award which will be presented in spring 2015. So: please keep your fingers crossed! Good news from Luxembourg: The Vivaldi Album wins the Supersonic Pizzicato Award. What a pleasure! Very soon now, the recorder player can perform in one of Europe’s most beautiful venues and present his audience with excerpts from his new project featuring the music of Vivaldi. And the press: Maurice Steger and Barocchisti meet with acclaim, music awards and great reviews from around the world for the CD Vivaldi: Concerti per flauto‘. For many years now, Maurice Steger and the Zurich Chamber Orchestra have made an accomplished team. 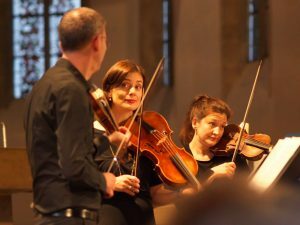 The conductor and recorder player served as the orchestra’s ‘Baroque Music Director‘ for a few years; today, the ZCO works together with Sir Roger Norrington, and also thrills audiences as a Baroque orchestra. During sold-out concerts at the Tonhalle Zurich, Maurice spirited his audiences away to the Venice of the early 18th century. On this evening, Steger as usual showed himself the Master of the Recorder Heavens, through which he floats on the cover of his CD. Maurice Steger and his musicians then travelled to Düsseldorf in order to celebrate Italian music in that city’s Tonhalle venue. The event was moderated by Christian Ehring. “Vivaldi – Concerti per flauto” wins prizes! Maurice Steger, god of the recorder: Together with the I Barocchisti orchestra conducted by Diego Fasolis, Steger has managed to make a breathtaking recording of seven concertos composed by the “prete rosso” Vivaldi… The outstanding virtuoso quality of Steger’s playing is complemented in captivating fashion by the Barocchisti conducted by Diego Fasolis. On the 28th of October in the Tonhalle Zürich! We usually associate Maurice Steger with Baroque music. But not exclusively. Did you know that the recorder player travelled to Taiwan this summer in order to take part in the première of a truly beautiful ‘east meets west’ story? Maurice Steger, with his ‘normal’ recorders in his luggage, is the first western soloist to have played the full-length recorder concerto ‘The Flying Song‘ (Fei-Ge) by Jianping Tang together with the Taiwan Traditional Chinese Orchestra. Maurice Steger presents a splendid new project with music from Baroque Venice. 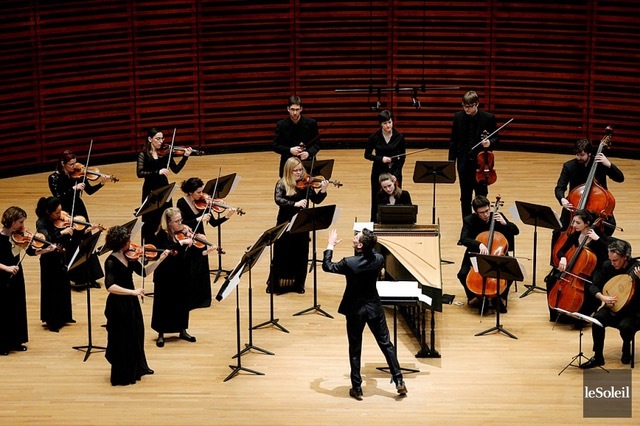 Along with the period-instrument orchestra I Barocchisti under the direction of Diego Fasolis, he invites you into the world of Antonio Vivaldi and his virtuoso Concerti per flauto. Benvenuti a Venezia! This new CD will be available in October 2014, we are so happy to inform you about this amazing project already now! It was not the violin, but the inconspicuous and practical recorder with its pastoral sound that was the most popular instrument of the early eighteenth century. Antonio Vivaldi composed for it a number of impressive concertos that became hits in his lifetime and have nowadays achieved evergreen status. La pastorella, Il gardellino and La notte tell stories about natural phenomena, brimming with blazing colours, humour, exuberance, and melancholy. Maurice Steger, who has done more than anyone else to restore the recorder to its former glory, is delighted to perform these masterpieces for you both live in concert and on the fine harmonia mundi recording. We will keep you posted about the exact release date!